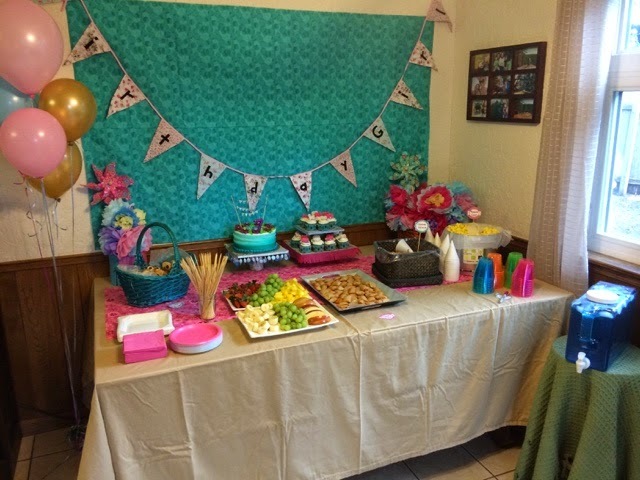 Alice has been requesting a birthday party at her house for the past few years, but I have always redirected. 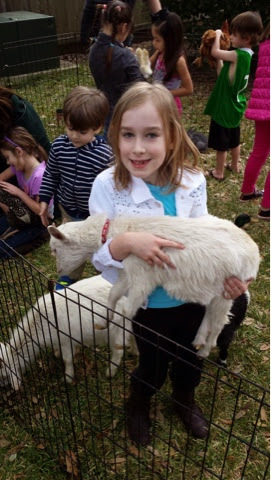 This year, Alice decided she wanted to have an 'I love animals birthday'. 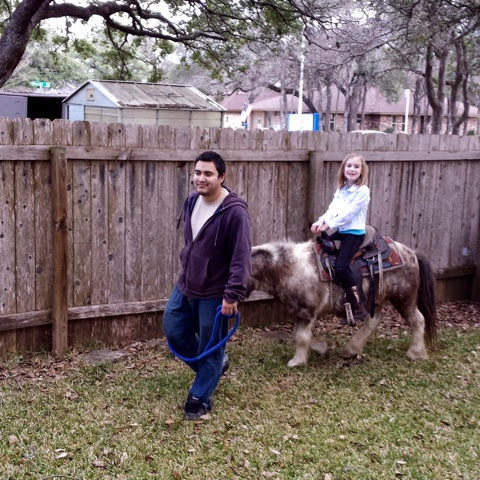 We found a local group who brings pony rides and petting zoo to your back yard for the party. 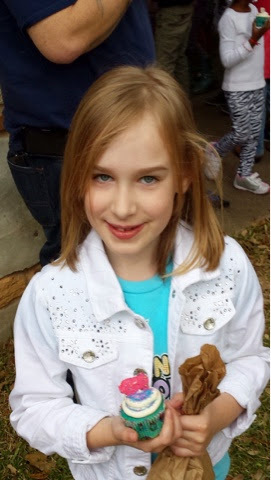 We invited her long term friends, her classmates, and her Girl Scout troop. 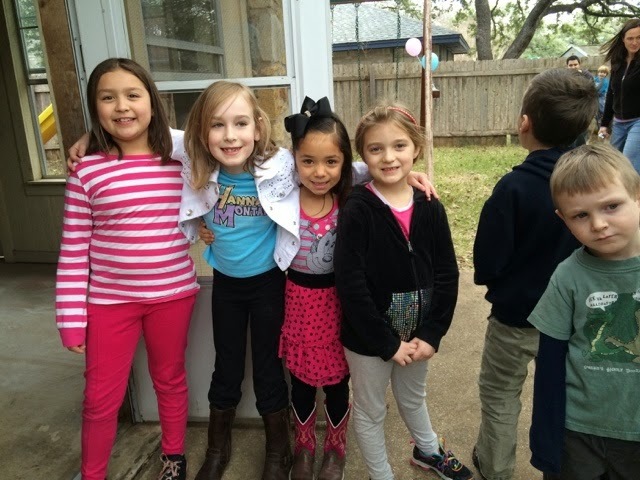 Mom spent weeks planning the party knowing there would be 20+ kids with parents in our house. 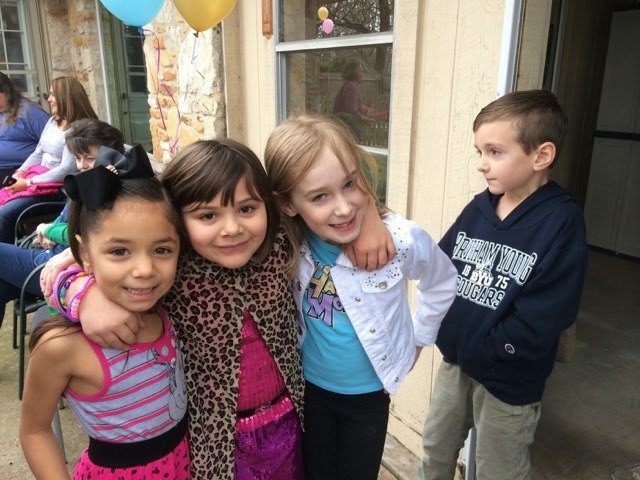 The party was originally suppose to be the weekend before Alices birthday, but the weather did not cooperate, and mom got sick. Luckily El Rancho, the pony ride guys were able to push the date to the next weekend. 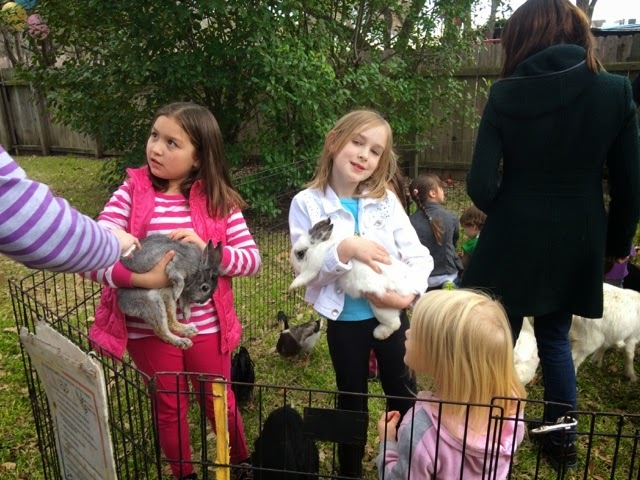 The weather was perfect for an outdoor event and everyone had a great time. 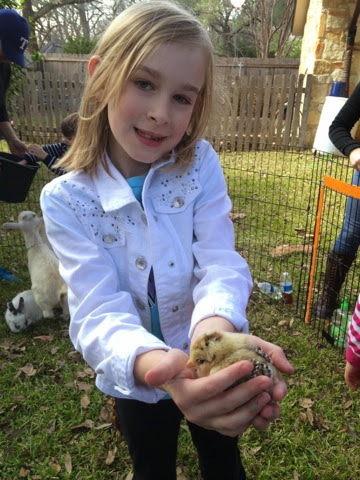 The petting zoo was a big hit with bunnies, chickens, ducks, pot bellied pig, goats, and baby chicks. 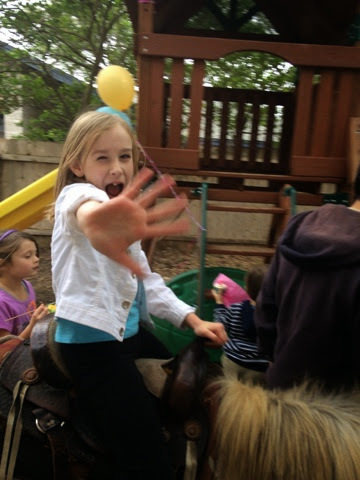 Everyone got several rides on the pony. We also had a pinata and the kids played in the playscape, including the swingboard mom made over the holiday. Alice declared the party to be a huge success. Definitely a birthday to remember.